Birmingham vs Middlesbrough predictions ahead of this Championship clash on Saturday. Will the visitors follow up on a 5-0 rout last weekend? Read on for our match preview and free betting tips. Birmingham put their play-off credentials to the test this weekend, as they prepare to host top-six opposition. The Blues take on a Middlesbrough side who are four points above them, as the visitors chase a return to the Premier League. Middlesbrough were in fine form in the FA Cup last time out, putting five goals past Peterborough United on their way to the Fourth Round. However, goals haven’t been as forthcoming in the Championship this term, so can the visitors manage to come away from St Andrews’ with three points? The hosts are in the race for the top-six, as they are just four points shy of a play-off place, sitting up in eighth. It’s a great start from the side who fought off relegation last term, with Garry Monk turning things around for the club. They’re aiming to build on a solid campaign so far and push on for a top-six finish. Their chances of doing that will be put to the test here, as they clash with one of Monk’s former sides. He failed to see out the season with Middlesbrough while at the Riverside, but can he get revenge here? Tony Pulis isn’t having the easiest time with Boro either, so there’s no great shame in Monk struggling there. The club should be among the sides fighting for a top-two finish, but they have been some way off in recent weeks. When results don’t come alongside the special Pulis brand of dogged football, fans soon get up in arms. This season the Welshman has struggled with a lack of goal threat, which has seen them score just 28 times across 26 matches. That’s an awful record for a side hunting a Premier League place. That record could hinder their hopes of a result on the road this weekend. After all, Boro have come up short on the road all too often this season. They’ve failed to win over half of their trips, but they’ve conceded just 0.77 goals per game so far on the road. They are solid at the back, which has seen them lose just twice. However, their away wins are rare, and this is a difficult place to visit. 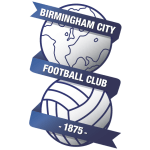 Birmingham have lost only one of their last 18 home Championship matches (W9 D8). They have one of the league’s best home records, conceding less than a goal per game here. It’s going to be tight between these two, and we struggle to separate them. We think the best way to go here is to back a draw, given their frequent ties of late. Birmingham have drawn seven of their 13 home games this term, while Middlesbrough have drawn more than they’ve won on the road. Middlesbrough striker Britt Assombalonga has scored five goals in five Championship starts against Birmingham. Birmingham striker Lukas Jutkiewicz has had a direct hand in 18 league goals this season (10 goals, 8 assists) – no Blues’ player has been directly involved in more within a single Championship season (inc. play-offs) since 2011/12 (Chris Burke (27) and Marlon King (24)). Middlesbrough manager Tony Pulis has won each of his last three matches against Birmingham in all competitions.